Liberi Nantes, a ‘Terza Categoria’ (Lowest level of amateur football in Italy) team in Lazio, made up of refugees and asylum seekers. | Photo: ANSA / Roberto Tedeschi. Four associations in Italy have submitted a proposal to the National Amateur League association to simplify access for asylum seekers to be able to participate in the amateur league. The associations - Liberi Nantes, the Italian Union of Sport for All (UISP), the UN Refugee Agency UNHCR, and the Association for Juridical Studies on Immigration (ASGI) - said in a statement that up to now, bureaucratic difficulties linked to the residence of refugees and asylum seekers have made it impossible for them to become members of the league. This has therefore prevented them from gaining access to the amateur championship, which as a consequence fails to recognise the players' success and efforts. The organizations said that asylum seekers, "based on new legislation, can no longer have Italian residency, and therefore, can no longer get a certificate of residency." Therefore, the organizations are asking that a permit to stay be deemed sufficient for signing up with the National Amateur League, or, alternatively, that a permit to stay accompanied by a declaration of residence made by the player. Interpreting the internal organizational rules of the Italian Football Federation (FIGC) "would allow [the possibility of] removing barriers to access to amateur footbll that thus far have prejudiced the equal treatment of non-EU citizens, compromising the function of promotion of integration that sports can and must guarantee," the organizations said. The organizations highlighted that the proposal also provides for the recognition of an active role for teams in terms of inclusion, through the introduction of a "sporting residence" with the team. This 'residence' would provide a point of reference for the athlete's sporting interests the organizations felt. The proposal is currently being reviewed by the decision-making bodies of FIGC. Alberto Urbinati, president of Liberi Nantes, said his team is promoting the initiative because it is the natural thing to do. 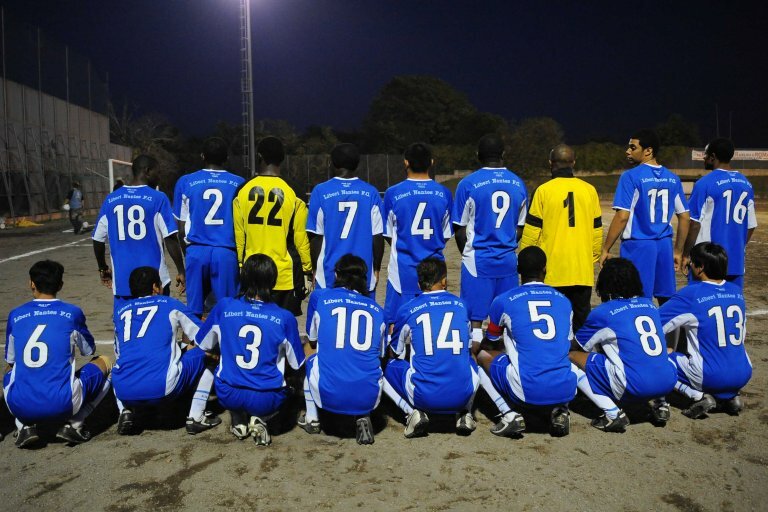 Over the years since the team was founded hundreds of young men who were refugees and political asylum seekers have played for his team and within these leagues. "The choice to play outside the classification allowed us to not exclude anyone for bureaucratic reasons; however, it prevented us from seeing our players' victories and efforts recognised," Urbinati added. Now he hopes this initiative will bring the best of both worlds. Roland Schilling, UNHCR deputy regional representative for Southern Europe, said, "We appreciate the initiative, aware of the importance of sport in refugee inclusion, and we appeal to the FIGC to remove all obstacles."